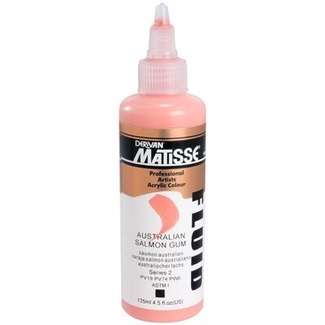 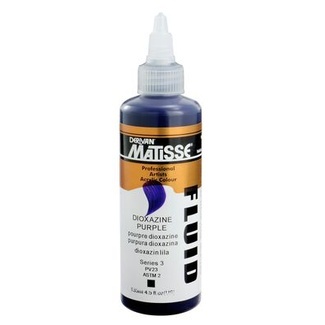 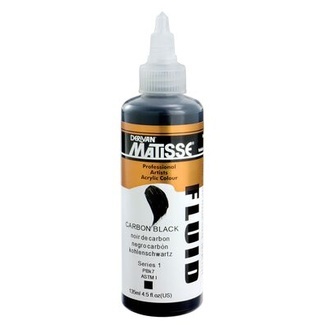 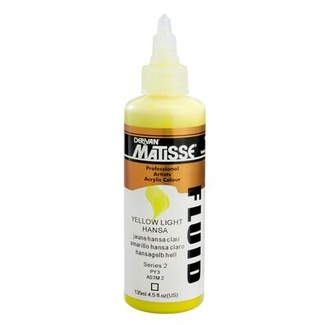 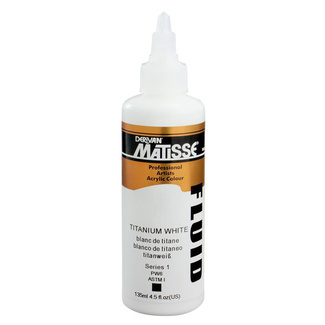 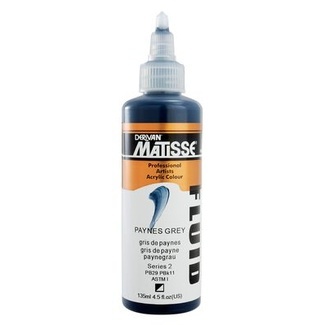 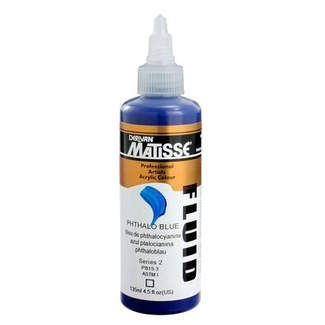 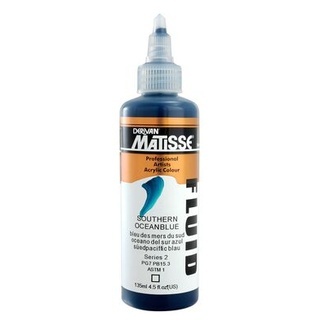 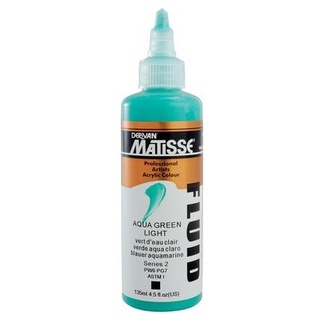 Matisse Fluid Acrylic is a high quality acrylic paint with a fluid, liquid consistency. 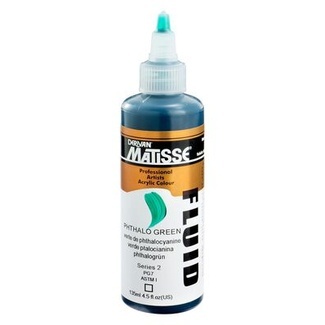 Like its thicker counterparts, the Matisse Structure Acrylic and Matisse Flow Acrylic, it is a highly-pigmented paint with an ASTM lightfast rating of I or II and opaque viscosity making them one of the best quality and most densely formulated acrylic paints on the market. 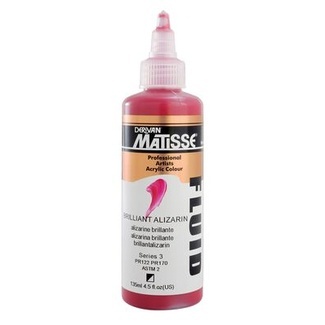 Even with its dense viscosity, the Matisse Fluid Acrylic still remains flowing and liquid making it ideal for smooth extended brush strokes and easy application for large surface areas. 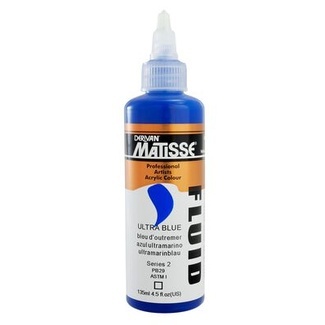 It is compatible with all Matisse acrylic paints and mediums and its fluid consistency and fine application nozzle allows for precise drop-by-drop addition, ensuring you create the perfect blend every time. 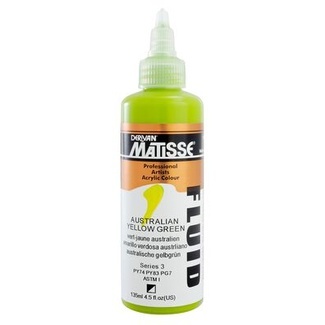 Mix with a small amount of water to achieve stunning colour gradation or simply apply straight from the bottle for a vibrant bright colour. 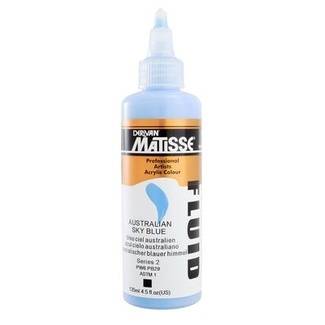 The Matisse range is developed and produced in Australia using the finest quality pigments and ingredients, all of which have lightfastness ratings of ASTM I or II, they are in turn archival in quality allowing artists to paint with confidence. 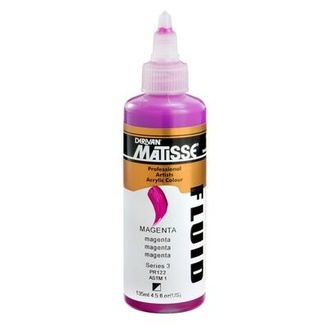 Available in a range of unique colours.